Sie haben eine Frage zum Joy Motel? Das Joy Motel und die Gegend Kuah sind bei Reisenden sehr beliebt. Gerade mal 0 KM vom Stadtzentrum und 15 KM vom Flughafen entfernt, zieht diese 1-Sterne-Unterkunft Jahr für Jahr zahllose Reisende an. Die stets gepflegte Umgebung und die unmittelbare Nähe zu den Sehenswürdigkeiten Makam Mahsuri, Plaza Langkawi, Langkawi Saga Shoppingcenter und weiteren Attraktionen verleihen dieser Unterkunft einen ganz besonderen Charme. Die Einrichtungen und Dienstleistungen im Joy Motel garantieren Ihnen einen angenehmen Aufenthalt. Die Unterkunft bietet zahlreiche Einrichtungen vor Ort, die selbst dem anspruchsvollsten Gast gerecht werden. Alle Zimmer verfügen über durchdachte Annehmlichkeiten, um Ihnen einen erstklassigen Komfort zu bieten. Außerdem sorgt das umfangreiche Angebot an Freizeitaktivitäten in der Unterkunft dafür, dass es Ihnen niemals langweilig wird. Das Joy Motel garantiert einen entspannten und komfortablen Aufenthalt in Langkawi - eine clevere Wahl. Es wird die Tourismussteuer von 10 MYR extra berechnet. Das kommt nicht überall auf Langkawi vor. Quadruple room, the room I booked is facing main road. Very noisy really annoying. Hotel is above Hokkien associates, karaoke session for elderly start from evening until 11.30pm annoying too. Good location next to the motel is HIG complex. Overall, satisfy with the facilities, cleanliness, and environment. 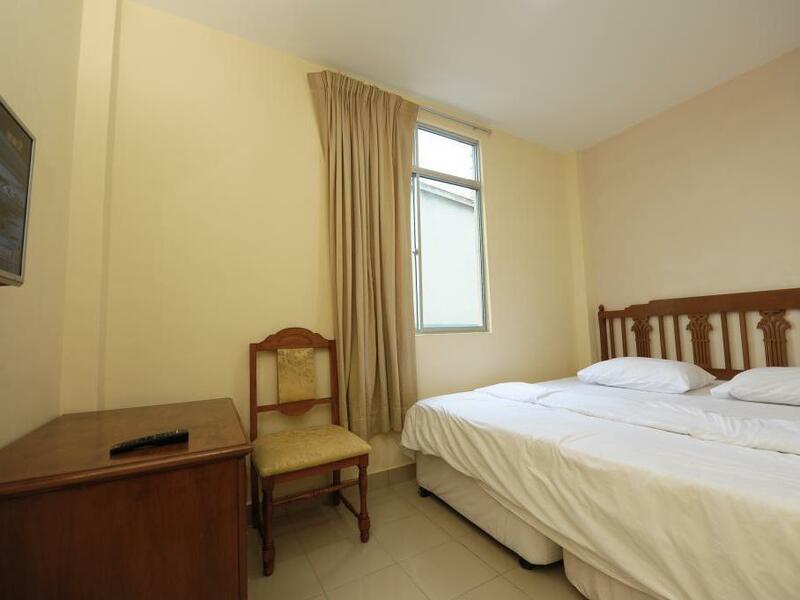 Walking distance to HiG complex, food court, mamak, Chinese restaurant, and others. However, mosquito will enter the room through the window at the bathroom. The window is too high that difficult to close it. Cheapest option of Langkawi. Small room with lots of light coming in. The bathroom was clean. Very friendly staff. Only two power sockets. Rooms can be better maintained but considering the price, it was good enough! Stayed for 4 nights. It is good value for money. The price is very cheap considering its space. Water dispenser and towels are provided. 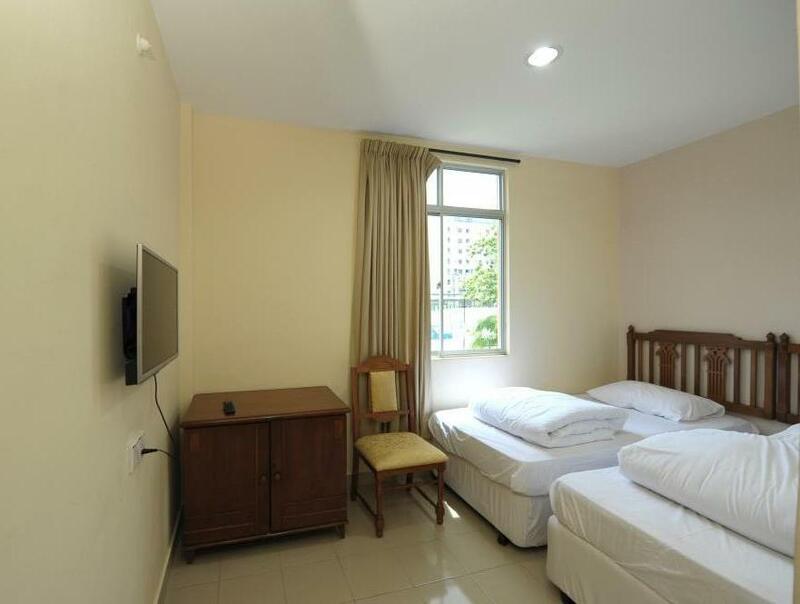 The room is very spacious, and the beds are very large and comfortable. However, it is a bit troublesome looking for the staff as she is in upstairs, so we had to call her during check-in and check-out. Located just beside HIG complex, so its always easy to make some last minute chocolate shopping. They provide king bed for normal room for two. And that is quite an advantage. For RM50 per night, hands down, the cheapest and best hotel in Langkawi. For a 1 star and a motel to say the least, the rooms are very clean and conveniently near a shopping complex. Had a very comfortable stay. We already paid for the hotel but unfortunately the hotel was above a temple. We cancel to stay over. Agoda please do something about this. There will be a bunch of elderly women and men who will be showcasing their skills on the karaoke blasting all the way until 12 am. No quarter is given. It is a long relay with little rest in between. They know there are guests in the rooms but that is their weekly activities. If you are going and staying in these two days, better find other lodgings elsewhere. The location and cleanliness are alright. The karaoke is a torture especially the aunties with high pitch singing or prolonged rumbling. Very convenient to shopping from here with nearby breakfast and lunch stall that is very cheap n very delicious. room is clean. the view from the room is nice. there are a/c, TV and a hot-cold shower in the room. they offer free hot and cold water. there is a really nice and cheap restaurant called "banana leaves restaurant" near the hotel. However, the hotel is a little bit far from the beach and popular places. the receptionist is friendly but she isnt often in the hotel. island hopping tour is cheap (rm 35). Value for money, strategic place. Just walk to HIG Complex because it is located opposite the property. 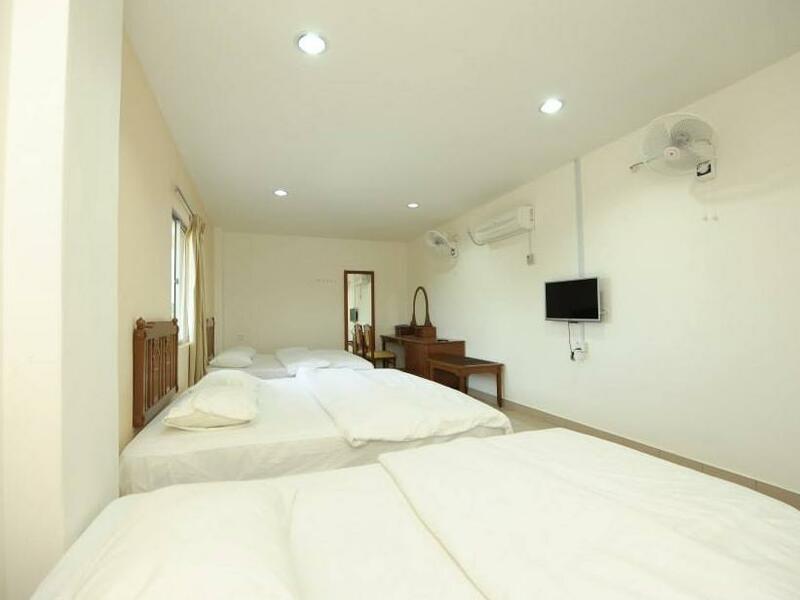 Very clean hygiene, very friendly staff and amenities such as more iron and pillows are upon request .. Overall, I'm very satisfied . was quite hesitant at first when reading reviews about it being near a temple. However, it was quite peaceful most of the time. The rooms are quite basic but beds are comfortable. The bathroom is clean and they provide free shampoo. great stay and value for money. The hotel location very strategic. In front of Haji Ismail Group Mall & Hotel. (less 5 minutes walking). Share building with Persatuan Hokkien. Same building, different level. Easy to park your car/ van. Not crowded. Friendly Customer Service. Will stay here again next time. 5 stars clean bed & blanket, large room & toilet, quite room. 1st impression it's look like temple instead of hotel. They have karaoke at the ground, just pay RM2 to sing all you can. Have ping pong table also. Have window, spacious room & toilet, comfortable 5 star bed & sound proof room. Have make-up table, chair & flat screen tv. Powerful shower & that's why the water not too hot. All satisfied for budget hotel except no lift, feel tired if you have big luggage or stay at 2nd floor. Extremely recommended for budget hotel. Satisfied! 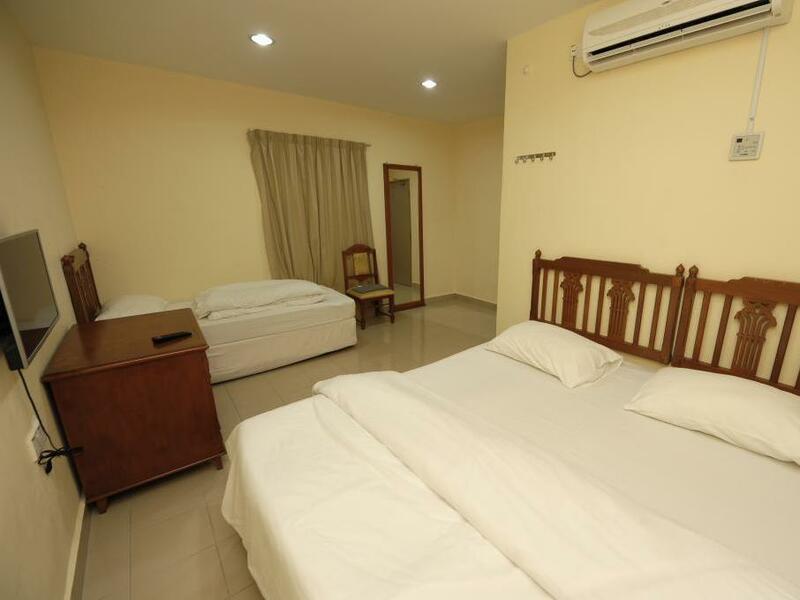 Location is in the Kuah town, also nearby future Water Fun Park Private car park, no worry about summon Those 3 nights i have stayed was peacefully, no disturbing noise Overall good.